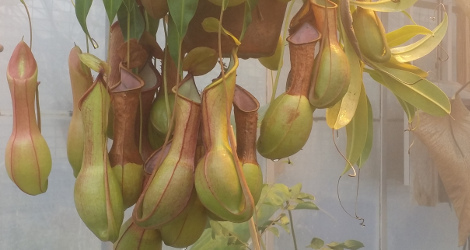 Description: Carnivorous climbing vine to 4m high. Passive pitfall traps produced at the tips of the leaves trap and digest small insects. 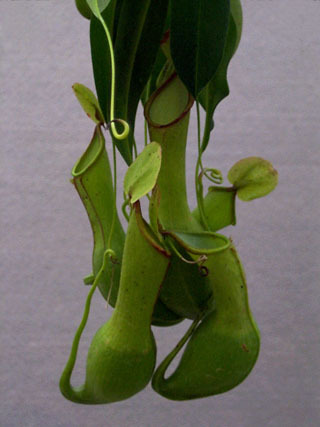 Colour of the pitchers light-green, often with light or dark-red or violet spots. 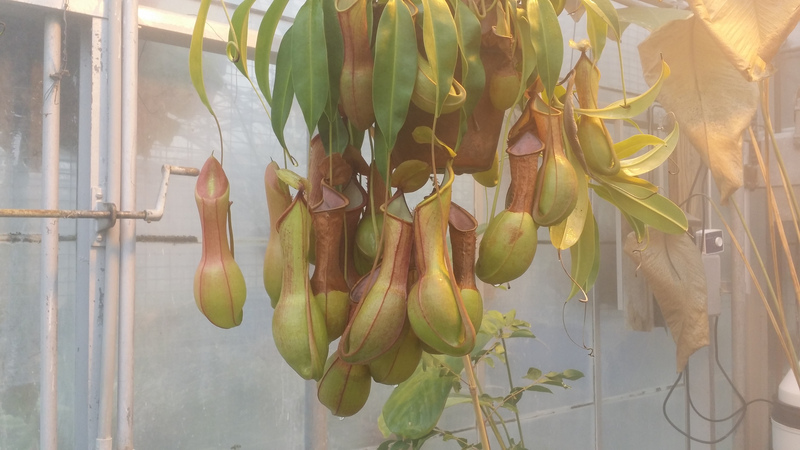 Nepenthes alata, like most species of Nepenthes is a mountain plant occuring in the mossy forest between 800 and 2000 m above the sea level. In Sumatra it grows from the rocks along the coast up to a height of 1600 m ; its habitat is the forest or its margin, rarely open ground.